Brought to you by our friends at Positive Health Wellness. Essential oils are nature’s pure essence. They are concentrated natural oils which are extracted from plants, wood, bark, flowers, roots and seeds. They have powerful antioxidants and have been in use for thousands of years. Essential oils contain health promoting botanicals which can be inhaled, diffused, taken internally, applied topically and incorporated into the massage. These oils are beneficial in many ways. They promote a positive mental state and atmosphere. In this article, we will discuss the 6 famous essential oils. We will also deal with the aromatherapy and the health benefits associated with it. Finally, we will discuss how to purchase and store the essential oils. These will give you a complete idea about the essential oils. This essential oil is obtained from sandalwood trees which are 40-80 years older. It has a subtle and lingering exotic woody smell. The main components found in this oil are Santyl Acetate, Santalol, and Santalenes. It is a great antiseptic agent and is safe to use both internally and externally. Sandalwood oil contains potent anti-inflammatory compounds. It is very effective to treat circulatory and nervous inflammations. It works wonders for your skin and greatly enhances skin health. This essential oil is used in various skincare products. Sandalwood oil promotes digestive health by removal of gasses. It soothes the inflammation in the urinary system and promoteseasy passage of urine. It is effective in treating coughs and is a natural expectorant. It has hypotensive properties. Sandalwood essential oil can be taken along with milk or water to reduce high blood pressure. It acts as a memory booster, sedates an anxious mind and is great for general health. This essential oil is obtained from the lovely flowers of the lavender plants. The fragrant lavender flowers are used for making potpourri for centuries. The sweet fragrance of the lavender oil brings to mind the rows of beautiful blue-violet lavender flowers, under the summer sky. If you are suffering from insomnia, then the lavender essential oil can be your best bet. It relaxes the mind and helps you to fall asleep. It is excellent in treating depression, migraines, emotional stress, headaches and nervous tension. Dermatologists say that lavender oil is very effective in treating acne. It is an excellent remedy for tense muscles, rheumatism, backache, sprains, and lumbago. Lavender oil reduces inflammation of urinary bladder, restores hormonal balance and reduces associated cramps. It improves digestion, blood circulation, immunity and greatly enhances skin health. This is the most versatile essential oil in the world along with lavender. It has a minty smell and is a symbol of hospitality. Topical application of peppermint oil can relieve sore muscles because it gives a calming and cooling effect. It improves mental focus, boosts energy, reduces stomach ache, improves digestive health and clears sinus problems. Peppermint oil is a natural pain killer and muscle relaxant. It can be taken orally in dietary supplements or can be applied topically. It relieves the symptoms of irritable bowel syndrome and indigestion. It has antibacterial properties and fights bad breath. It fights off hazardous germs in the teeth and gums. Topical application of peppermint oil cures fungal nail infection. This oil is a good remedy for nausea. It can substitute drugs that induce chemotherapy-induced nausea. Peppermint oil can be used to treat hot flashes in women receiving treatment for breast cancer. It has lipophilic properties and is an ideal treatment for recurrent herpes infection. It provides relief from stress, depression, and mental exhaustion. This oil greatly nourishes the skin and hair health. Having a woodsy and citrusy smell this oil has a beautiful story behind its name. The Virgin Mary is said to have spread her blue cloak over a Rosemary bush when she rested. And the white flowers turned blue. This oil is very effective in relieving flatulence, constipation, bloating and stomach cramps. It effectively reduces chronic stress. Inhaling rosemary oil for 5 minutes significantly reduced cortisol levels according to a research study. Herbalists say that massage and inhalation of rosemary oil increase the free radical scavenging activity in the body. This means it increases the antioxidant activity and gives an immune system boost. It effectively relieves pain and is used to treat muscle pain, headaches, and arthritis. The scent of rosemary oil provides relief from throat congestion. This essential oil has antispasmodic properties and is used to treat bronchial asthma. The Bergamot tree is a cross breeding between the lemon tree and orange tree. This sweet smelling oil is bursting with a powerhouse of benefits. This essential oil has a unique fruity and spicy aroma. Bergamot essential oil has antibacterial, antiseptic, analgesic, antispasmodic and soothing effects. It is very effective in treating urinary tract infections and meningitis. Add bergamot oil to your sitz bath or hip bath to prevent the spread of bacterial infections from the urethra into the bladder. This essential oil can act as a substitute for cholesterol-lowering drugs named statins. It enhances the healing process of herpes, cold sores, and mouth ulcers. It has amazing antifungal properties. Bergamot oil prevents and treats skin conditions caused by fungal infections. According to experts, when used in aromatherapy preparations Bergamot oil can reduce stress and anxiety of patients before surgery. It reduces the chronic fatigue syndrome and depression. It is one of the best natural pest repellents. The tea tree oil has many health benefits, and it is called as the‘jack of all trades.’The tea tree plant is highly priced by the primitive Australian communities. According to the University of Sydney, the Aboriginal communities simply crush the tea leaves and apply it to cuts, burns and infections. This oil has a camphor-like scent and has amazing healing properties. It can be used to treat acne. It is as effective as benzoyl peroxide but without the side effects. Tea tree oil is excellent for the hair. It can be used to soothe dry flaking skin, remove dandruff and as a treatment for lice. It has amazing antibacterial properties and is a good household cleaner. This essential oil can be used to treat eczema and psoriasis. Dr. Axe created a tea tree oil eczema lotion recipe. Mix five drops of lavender oil and tea tree oil to one teaspoon of coconut oil. Your amazing lotion is ready. Tea tree oil can also be used for toenail fungus and ringworm infection. It can be used in homemade toothpaste to boost the oral health. Mix tea tree oil, coconut oil and baking soda for a homemade toothpaste. Tea tree oil also has anti-cancer benefits. When you inhale the pleasant aroma of the essential oils. The odor molecules travel through the nose and affect the brain through a variety of receptor sites. One of those sites is the emotional brain or the limbic system. This system is directly connected to those parts of the brain that control blood pressure, breathing, heart rate, memory, hormone balance and stress levels. So we can hypothesize that essential oil inhalation can have profound physiological and psychological effects. Essential oils can be topically applied to the body. Ingestion is NOT recommended until advised by professionals. Massage oils are a combination of one or more vegetable/herbal oils with essential oils. 5% dilution= 30 drops of essential oil per ounce of carrier oil. 2.5% dilution= 15 drops of essential oil per ounce of carrier oil. For kids 5-1% dilution = 3-6 drops of essential oil per ounce of carrier. You can add essential oils to unscented creams or lotions. You can create your own facial oil by using herbal and vegetable oils and adding essential oil to the mixture. For healthy skin, 1-2.5% dilution = 6 to 15 drops per ounce. Depending on the essential oils add 2 to 12 drops to a teaspoon of honey, whole milk or vegetable oil and then use it once you are in the bath. Add 3- 7 drops of essential oils into boiling water and then inhale. Cover the head with the towel, breathe in the aroma and close your eyes. You can use thyme, lemon, eucalyptus and tea tree essential oils for steam inhalation. It is a combination of essential oils and water. Aromatic spritzers can be used as room fresheners, to scent space, to cleanse the air, to uplift and energize and for aesthetic purposes. It takes 250 pounds of rose blossoms to produce 30 ml of rose oil. This makes it clear that good quality essential oils will never be cheap. You should not get fooled by discount retailers, bazaar vendors or big box stores. Pure essential oils are highly concentrated, and even a few drops can work out its magic. It is difficult to assess the purity of essential oils. But you can go in for retailers who specialize in selling essential oils. They would be more concerned about the product be valid because it is their primary source of business. To check the purity, you can try the ring test. Place the single drop of oil on a white printer paper. Allow it to dry; it is not a pure essential oil. There are a few exceptions to this likethe sandalwood oil. You can check the label whether it contains the plant’s Latin name. Choose bottles that are dark and amber colored because it protects against UV rays which degrade the essential oil. You can buy organic essential oils, look for the ones with USDA seal or the term wild-crafted on the label. 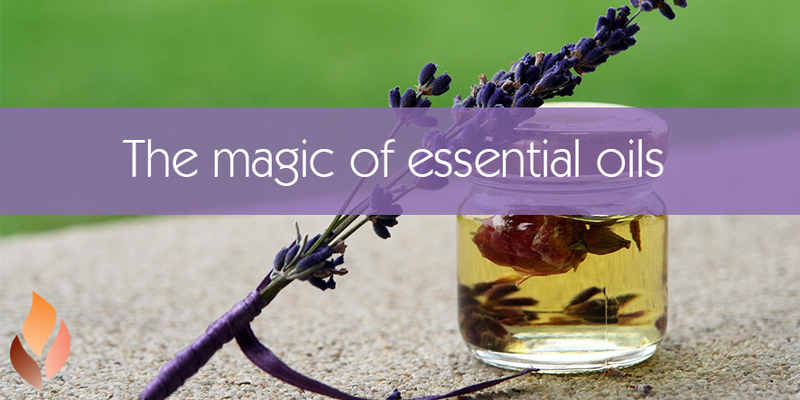 Storing the essential oils is definitely an art which you can easily master. It should be kept in dark colored glasses to filter out the ultraviolet rays. You should never leave it where it can be directly exposed to the sun. This will quicken the oxidation process. Choose a dark place to store it. Keep the essential oils away from the reach of inquisitive children. Citrus essential oils are more prone to oxidation. You can store them in the refrigerator. Set the temperature to 5-10 degree Celsius. Certain essential oils may solidify at this temperature. You can warm them up before utilization. You can also store them in aromatherapy storage boxes. Don’t ever store your concentrated essential oils in plastic bottles. Since most oils will eat into the plastic and in some cases will melt the plastic bottles. Most of the essential oils are safe, but you should be careful about the dosage, purity, application method and possible drug interactions. You should dilute the essential oils before using it. For babies and kids always consult your doctor about the usage methods. To avoid any allergic reactions do a patch test. You should be careful about photo toxicity when applying certain citrus oils. So better avoid going out in the sun after topically applying these oils. Essential oils can enliven your atmosphere, bring good health and can lift your spirit. So use these oils after proper dilution to enjoy its awesome benefits.